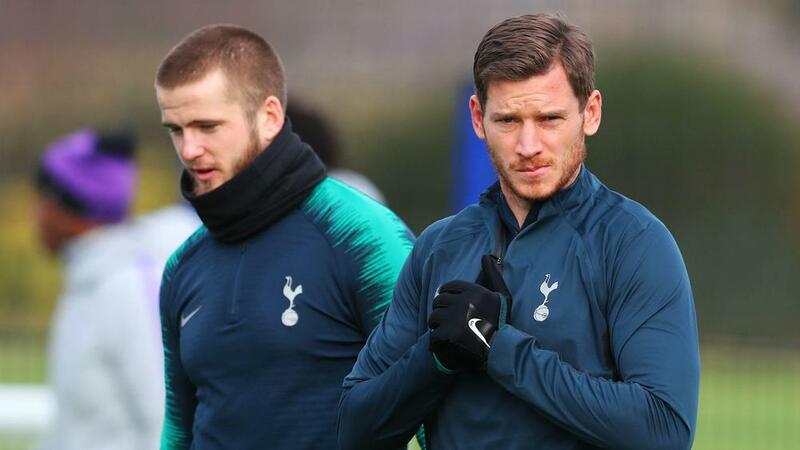 Eric Dier provided Tottenham with a fitness boost by training on Tuesday ahead of the first leg of their Champions League last-16 tie with Borussia Dortmund. The England international was absent for Sunday's 3-1 Premier League victory over Leicester City due to a virus but was back involved in Tuesday's session. However, in the section open to the media, there was no sign of striker Harry Kane and full-back Danny Rose. Despite being initially ruled out until March with ankle ligament damage, Kane was back in training last week. Boss Mauricio Pochettino had already reiterated he would not be available for Wednesday's clash with Dortmund at Wembley, though.